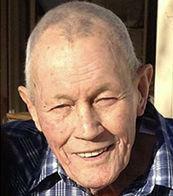 Thomas "Tom" Newman Kidd, 86, passed away peacefully at his home after a long battle with cancer. The love of his life, Connie, was by his side always until the moment he passed. Tom was a man of many talents and interests. In his earlier years, he owned a full service mechanic shop. He was a successful high performance drag and boat racing engine builder. His work was featured many times in Hot Rod magazine. He and Connie owned a bar and auto repair shop in Willard, Utah for a short time. He then took a position at Weber State University as the foreman of the auto and equipment maintenance department and was there for 10 years. "Love you kidd"
They moved to Kingman, Arizona in 1995, and built and maintained Shadow Mountain Ostrich and Emu Ranch. The ranch was a very exciting venture that posed many challenges, but together they made a business out of it. They had a line of products that included oil, lotions and eggs that they sold. He always had a passion and love for jewelry and eventually, as a team, turned their entire garage into a jewelry making shop. For many years to come he brought his passion for jewelry to life as a silversmith. His creativity and attention to detail showed in his work. He was a perfectionist in everything he did. He and Connie attended numerous jewelry expos and shows. He was well-respected by his peers and regular clients in the industry. He received several awards and plaques for his work. He had a quick wit and easy sarcasm that will live on in his "one liners." Tom lived many lifetimes in one. He was kind and generous, and will be missed by all. He was preceded in death by his father; Ernest, his mother; Erma, and his eldest brother; Ernie. He is survived by his wife; Connie, his brother; Denis, his children, grandchildren, extended family and many friends. A celebration of life will be held Friday, April 19, 2019, from 6:00 to 8:00 p.m. at Leavitt’s Mortuary, 836 36th Street in Ogden, Utah.